The making of pottery in North Carolina has a long history. Native American potters are known to have made pots from the start of the 16th century, and European colonizers of the 1700s arrived with knowledge of their local ceramic techniques. 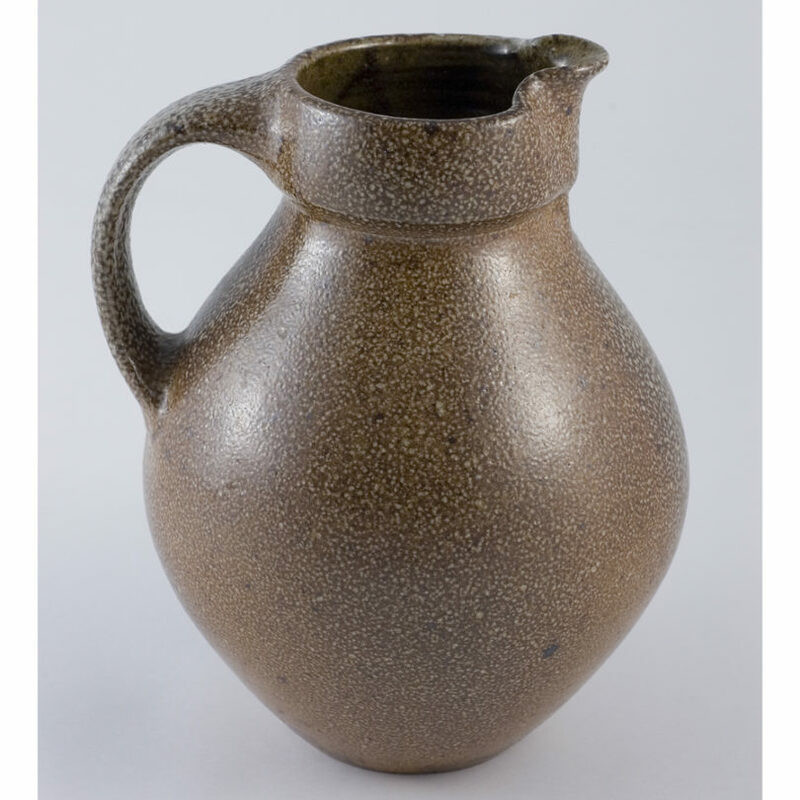 At this time, folk potters produced functional ceramics for settlers, firing objects with wood kilns and using combinations of salt, local clays, lead, and wood-ash glazes. 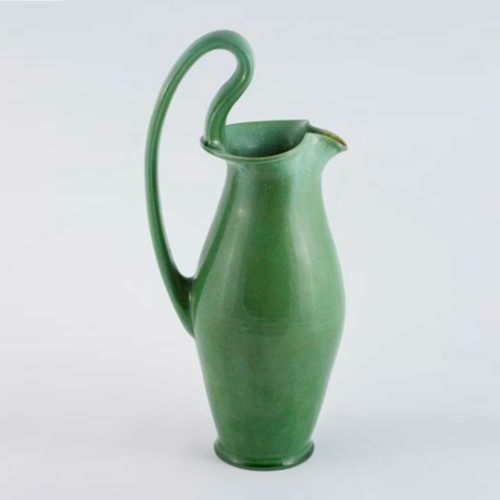 As functional ceramic vessels lost demand in North Carolina in the 19th century, artists began producing ceramics for artistic reasons. The numerous family-owned potteries throughout the state were passed down through generations, and many are still active today. Although the water pitchers displayed here are only a handful of selections from the James Goode Collection of contemporary American water pitchers from the Asheville Art Museum, they are strong examples of the quality and diversity of pitchers created by artists actively carrying on the rich legacy of North Carolinian pottery.